If this is an emergency situation, please call the office at 217-222-8254 rather than email us. Cornerstone is located between Vermont Street and Broadway directly across Vermont from the fire station. Parking and entrance are available off of 9th Street. 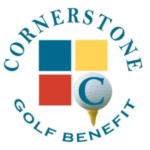 Cornerstone Foundation for Families will often be looking for talented professionals to join our team. We currently don't have any open positions.